I thought I would update you all on my crochet teaching schedule. I have been meaning to do this for a while but I got the kickstart I needed when I got a message via my Facebook page from a lovely lady who had been struggling to teach herself crochet and was looking for a class. As you may have been aware I was teaching beginners crochet classes in Chorlton regularly until a couple of months ago. After a while I struggled to fill up my courses (maybe I had reached as many people in my local area as I was going to?!) and the venue I was carrying out my classes is closed for summer for a total revamp. These factors, combined with a need for a bit of a rest, meant I have not been running classes for a while. Until today that is! I gave a one-to-one lesson to Sarah this morning (see her go with her granny square!) and it reminded me how much I love teaching crochet. Therefore I will be offering one-to-one classes, or if you can find a small group of friends (maximum of 6 please otherwise it gets tricky!) I can tailor a class to your requirements. 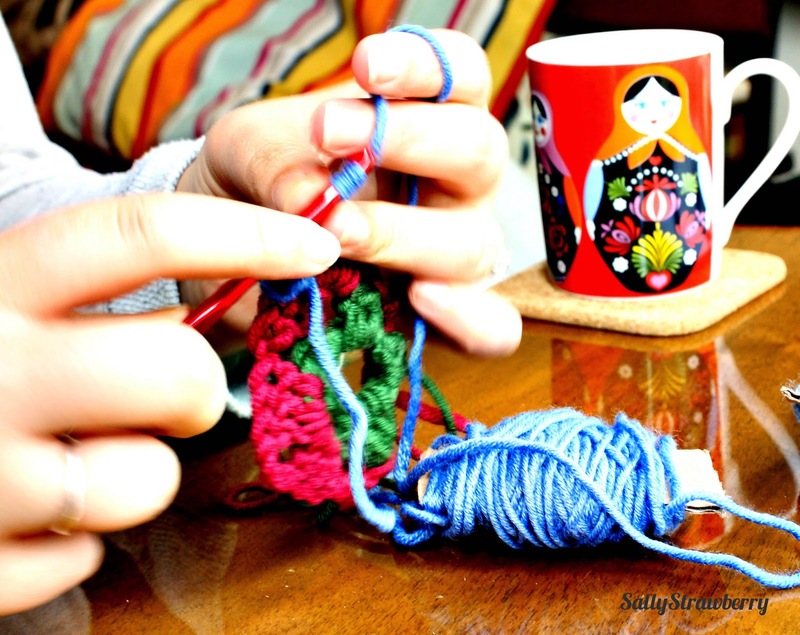 A group crochet class makes a great birthday present, and is a perfect excuse to get together with friends and learn a new skill at the same time. I can also tailor classes for baby showers and hen-dos (I'm thinking bunting, flowers, fascinators.......). If you are interested please don't hesitate to get in touch (sallystrawberrycreations@gmail.com)!